To be honest I'm not too sure what species they are, they change colors often, sometimes even turning from black to bright orange permanently I've always thought the bright orange ones were of different species than the black ones. Here is the black and orange one together. Can't get too close or they'll hide back into their nest. This morning, something very exciting happened. 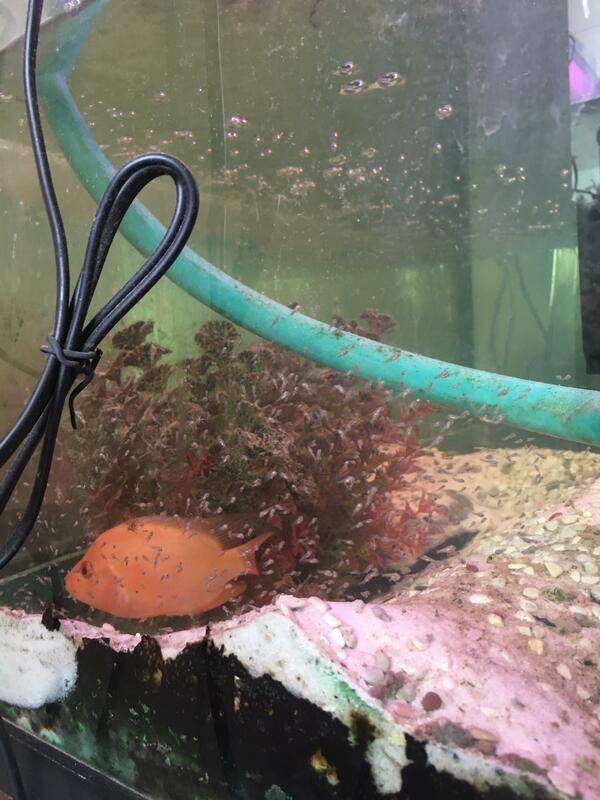 When I went to check on them, there were hundreds of fry swimming around! I didn't even think that mama and papa tilapias would have been big enough to have babies. They're barely 4 inches long! Here is mama tilapia with all her tiny fry! Papa tilapia is shy and barely comes out of the nest at all. Cool, I didn't know they can change their colour this drastically as well. Congrats on the little babies, you'll soon have a tank of colourful cichlids to keep your entertained till your A levels is over. Keep them healthy! It is not red tilapia I think is Red devil cichlid. The male look like midas cichlid with stripe. I edited this reply. BeachBum wrote: It is not red tilapia I think is Red devil cichlid. The male look like midas cichlid with stripe. I edited this reply. I think you may be right! Google results of red devil cichlids did show some that looked exactly like the ones I had. However, both fishes don't have the bumps on their head. Also, when I searched red devil cichlids, some black coloured ones showed up that looked exactly like my black male. 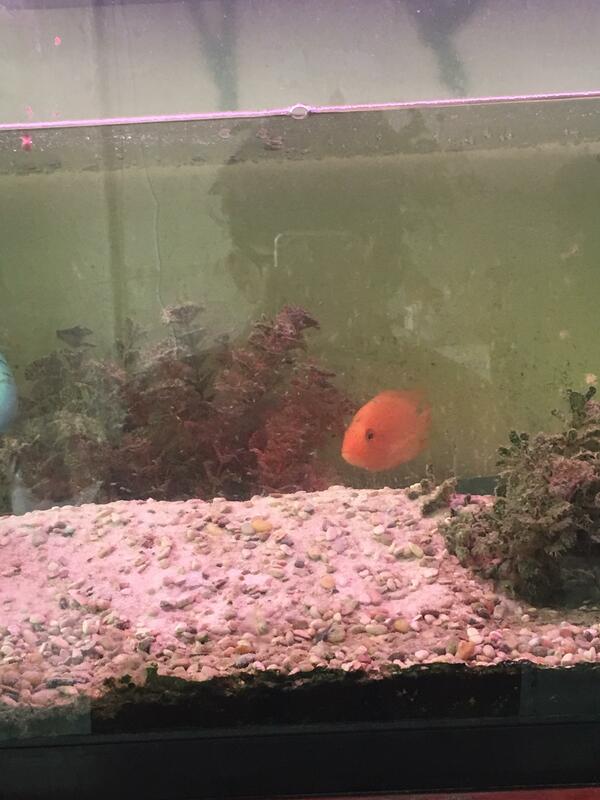 Could he be a red devil cichlid too? Do show more pictures of your fishes. 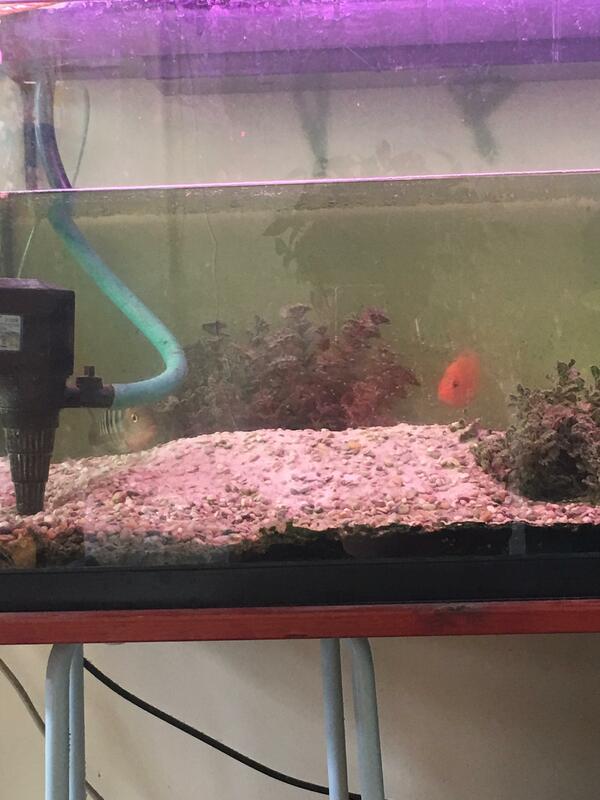 Only two adult fish in the tank or are there more ? Cichlids are relatively easy to hybridise. Sometimes there may be some hybrids of louhan, mayan cichlid. actually, your third picture seems to show an orange Severum. 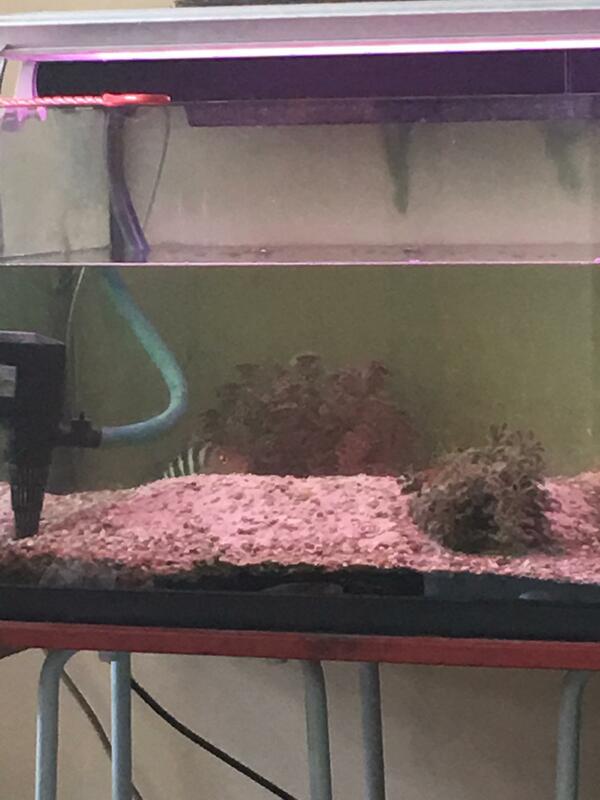 It could be the angle of the fish in the picture.